Believe that Rivarossi makes heavyweight equipment. Trainworld sells it - check their website. Also, AHM has their own site and sells heavyweight cars as well. Check them both - you should come up with a complete passenger consist. Good luck! IHC makes em, also Branchline Trains (I think) makes a heavy weight pullman kit with three differrent #s. I have all three of em and one of these days I'll get around to putting them together. I don't think Rivarossi has made them in C.N. for a couple of years now. Years ago E & B Valley R.R. Co. sold their "American Flier" type coach kit painted for C.N. and these may still be available at train shows. (I have quite a few of these kits waiting to be put together, not all C.N. though) P.M. The RTR section of Athearn Trains shows their CN coaches. The description is standard but several are the old clerestory roof heavyweights. Forgot to mention the obvious, the units are presently discontinued, but many of these units are still in hobby shops and of course e-bay at times. I am also collecting these same CN units when I run across them. Hello Bill: try IHC , they make a set. 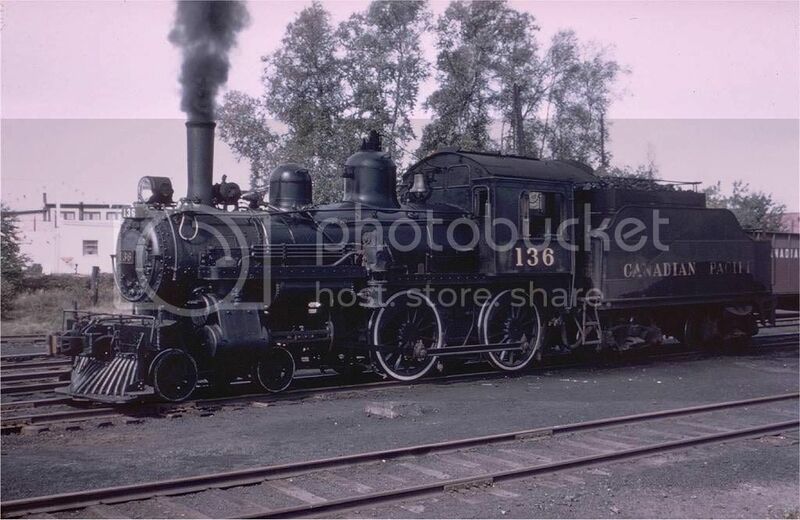 I recently purchased a set for the Mehano 4-6-4 CN Hudson, SWEET LOCO with a great smoke unit . they have the 6 axle Heavyweights, and the Streamlined cars, Concor has a sweet Streamlined set. I have 7 Rivorossi cars and 4 Branchline sleepers. I just sold a set of 4 Athearn cars at our show (OOPS) If you want very nice cars get some of the Branchline heavyweights, beautifully detailed undercarriages although they kind of skimped on the interiors. I'd like to get a couple of coaches but they seem to be scarce anyone know of any? The Riv. ones are alright, but are hard to find. They benefit greatly from better wheels (P2K 36") and KD couplers (#505). The Athearn cars aren't full length, they have shortened them by a few feet for smaller layouts. How is the color on the Athearn cars? The Athearn F 9s that they sold for years had the wrong color green (almost a teal). P.M. The Athearn CNR coaches I have are the RTR CN Green old time coaches with the 6 wheels trucks and both curved and clerstory roofs and they match the CNR F7 Genesis units for colour. Know the CNR F7's are freight engines but hey its my layout. I alternate with the Bachman CN 2-10-2, perhaps one day I will locate a CN Northern or F7P, but until then I am content. Also have Stewart CN F7's, close match in colour as well. Just be aware that whatever you purchase, from almost any manufacturer, will not be accurate CNR coaches but will be whatever the manufacturer's standard model is but just painted in CNR colours. Would like to obtain a set of the Rapido units, however I need to justify $12 per car for the Athearn RTR against the $60.00 per car for the Rapido.